Huayna Potosí, means "Young Mountain" and is the most promoted in Bolivia. 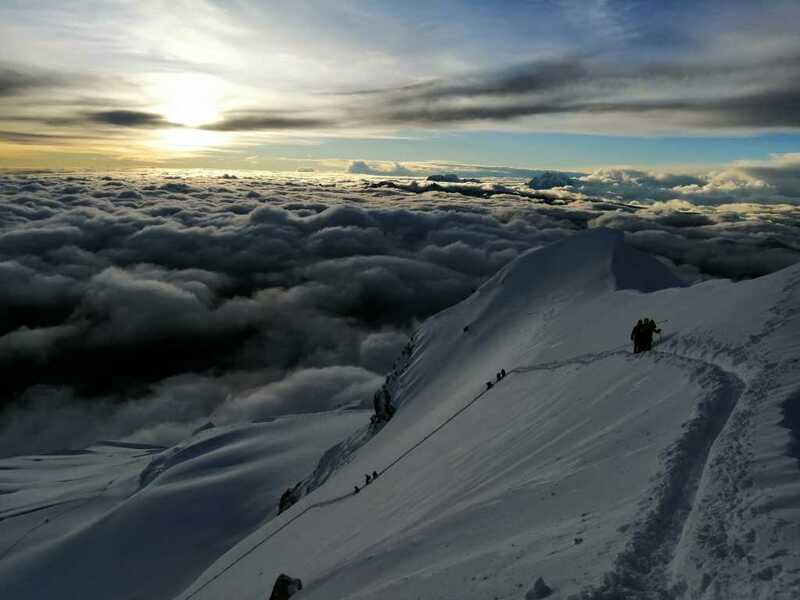 To step on its summit is an amazing experience, if you go I suggest a good previous training because although they say that it is the "6000" easier in the world, if you do not prepare well your body will feel it. "The views are magnificent, the effort is great and depending on the time of year you want to go the number of climbers will also be important. During June, July and August are the best months to go because the ice remains firm and it is easier to climb, but except December to February it can still be climbed but you have to be very careful with the thunderstorms, the rest of the months you can calmly try to climb to your summit. "